Cruise control has become more common than a preteen girl who likes Justin Bieber and is utilized in almost every car on the market. Since it’s introduction to the automotive world, cruise control has become more and more adaptive, gaining the ability to slow down and speed up in sync with another vehicle. While this innovation makes driving a long distance easier, the technology doesn’t slow down your car if the car in front of you stops suddenly. Chevrolet has decided to change this with the introduction of its ground-breaking Adaptive Cruise Control system, which will be implemented in the 2014 Chevy Impala. This new system will be able to stop your car completely when it senses a sudden stop from the car you’re following, therefore keeping you safer than ever before. The system will also be paired with a second system that is capable of stopping the car if a hazard suddenly appears in the roadway. A car that can greatly reduce its drivers’ stress? Consider us signed up! Come check out the 2014 Chevy Impala, featuring Adaptive Cruise Control, here at Bradshaw Chevrolet Buick GMC Cadillac today! Consumer Reports recently ranked the 2014 Chevrolet Silverado pickup as the top truck of the year, narrowly beating out the 2013 Dodge Ram. The 2014 Silverado, which scored a top score of 81 in the Consumer Reports testing, was named the best pickup choice based on many of the truck’s positive qualities. 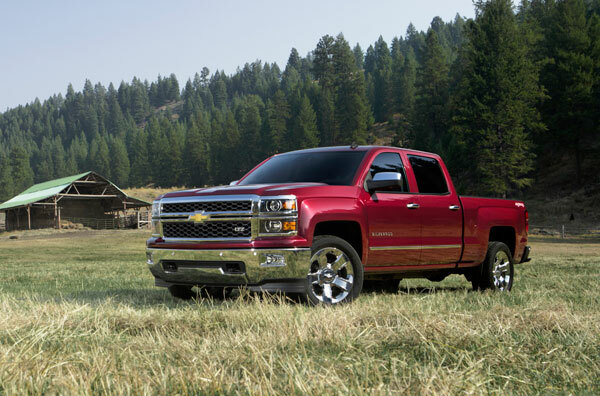 The report listed the Silverado’s large bed, excellent fuel economy, high towing and loading capacities and smooth, comfortable handling as key factors in the pickup truck’s overall top ranking. The Dodge Ram, by comparison, scored a 78-point score in the report, while Ford’s F Series was beat out by both models. 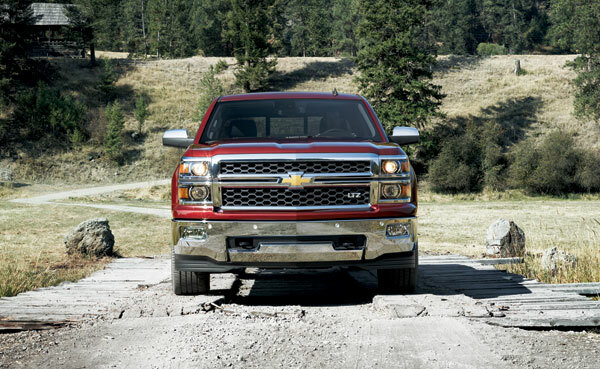 Long a popular full-size pickup truck, the Silverado has been revamped for 2014 with a redesigned interior and innovative new engine options. For more information on Consumer Reports pickup truck rankings, visit Consumer Reports online. Bradshaw Chevrolet Buick GMC Cadillac of Greer, SC is proud to offer the 2014 Chevrolet Silverado pickup truck for test drive and purchase! For more information, stop by our dealership or website, or contact our Sales Department to schedule a meeting. Our 2014 vehicle inventory is growing! Stop by our dealership today to view our great selection of exciting new cars like the 2014 Chevrolet Impala, Buick Enclave or Cadillac CTS! To stay up-to-date on more new GM releases and dealership news, follow Bradshaw on Facebook! 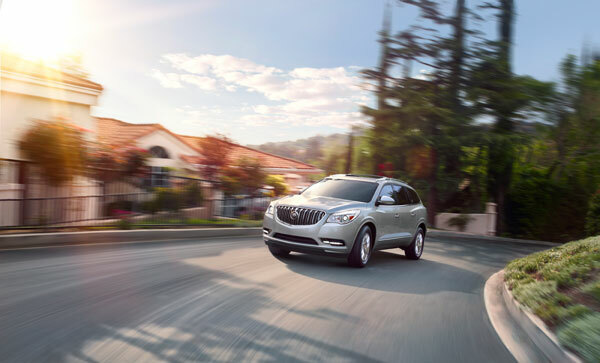 The 2014 Buick Enclave is available now from Bradshaw Chevrolet Buick GMC Cadillac of Greer, SC! Seating up to eight passengers with its spacious three rows of seating, the 2014 Buick Enclave offers all the comfort and luxury you could ask for in a compact crossover SUV. The Enclave also boasts up to 68.9 cubic feet of storage space, impressive GM safety features like Traction Control and Rear Cross Traffic Alert and a host of convenience features like Quiettuning noise reduction technology, making it a perfect luxury family vehicle for all to enjoy. 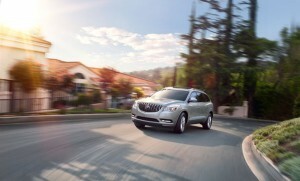 For a full list of the 2014 Buck Enclave’s features and accessories, visit Buick online. Bradshaw Chevrolet Buick GMC Cadillac is excited to share the all new 2014 Buick Enclave crossover SUV with new car buyers in upstate Greer, SC. For more information on the new Enclave, or to schedule a test drive in a new GM vehicle such as the 2014 Cadillac CTS or Chevrolet Impala, visit our website or contact Bradshaw’s Sales Department at (864) 416-7397. Also be sure to check out our excellent service department, sure to help keep your GM vehicle safe and in top condition on the road this autumn. 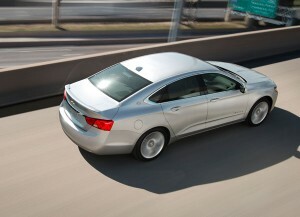 For more Buick and GM news and information, follow Bradshaw Buick Chevrolet Buick GMC Cadillac on Google+!